Last week I got the chance to meet Tom Brokaw, who spoke at The Poynter Institute in celebration of its 35th anniversary. I interviewed him by phone a week prior to his visit and talked with him about the changing role of the news anchor, the need for more one-subject broadcasts, and the reason you won’t find him on Facebook or Twitter. 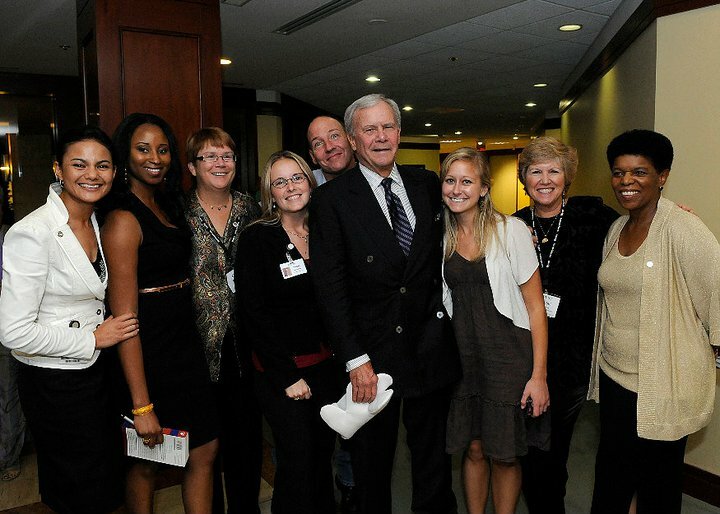 I first met Brokaw at Providence College in 2006. He was the graduation speaker that year, and I covered his speech for the student newspaper. Seeing him again still felt just as exciting as it did the first time. I just felt a little less nervous this time around!